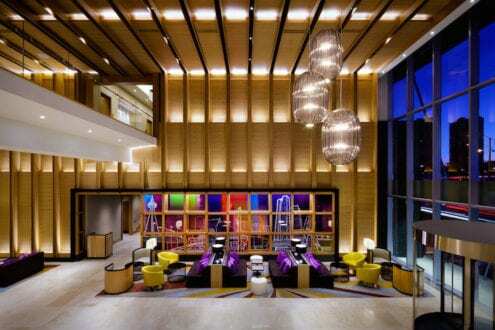 One of Toronto’s newest hotels, the Delta Toronto is the perfect home for your Toronto family vacation. 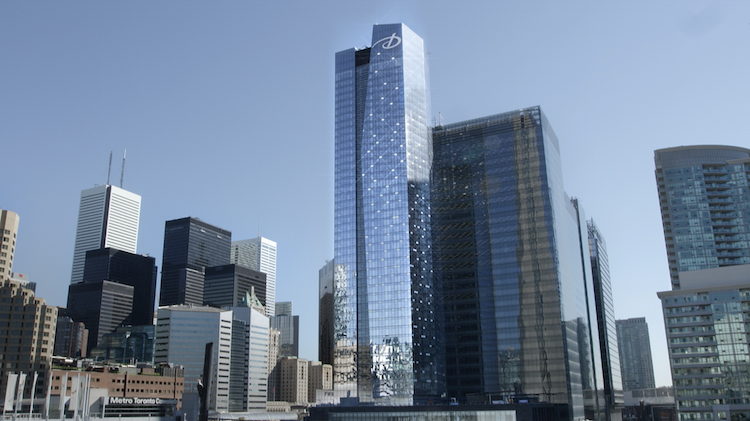 Great dining options, family sized suites, and an indoor pool are just some of the reasons to choose this skyscraper hotel in downtown Toronto. We recently checked into the Delta Toronto to enjoy a weekend escape to Canada’s largest city. 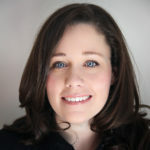 Here’s why you may want to do the same. No matter when you visit, the Delta Toronto is a great choice as the home base of your Toronto vacation. 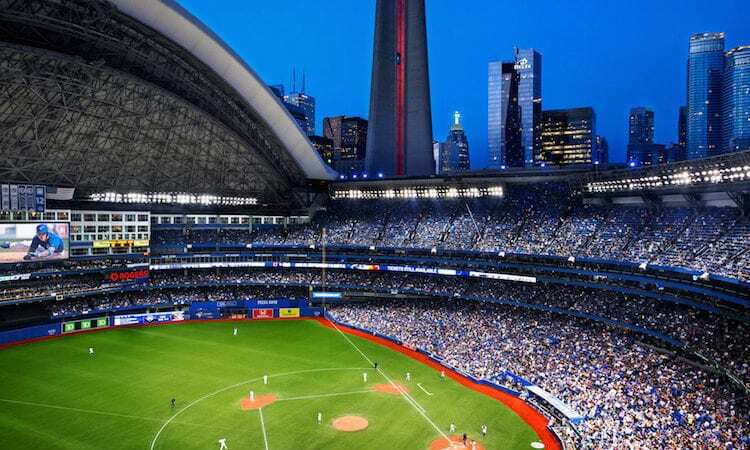 Located on the same block as the CN Tower, Ripley’s Aquarium, the Rogers Centre (Home of the Toronto Blue Jays) and the Air Canada Centre (home of the Toronto Maple Leafs and Toronto Raptors), you will find yourself in the heart of the city. Here’s what we experienced at the Delta Toronto. Family Friendly. The Delta is a very family friendly property where children are welcomed upon arrival with check-in gifts from the concierge. Big Rooms. Big suites and rooms provide families with plenty of space to spread out. Lots of Amenities. Parents will love the indoor pool and hot tub with outdoor patio, free wi-fi, mini-fridges, boosters and play pens available to guests. Healthy Choices. Kids under six eat for free from the children’s menu with plenty of healthy offerings. Kids seven through 12 eat for half price off the regular menu. Green Space. Across from the Delta Toronto attached to the Toronto Railway Museum there is a great public playground where kids can run around away from the city traffic. Parking. Parking is expensive but as expected for the hotel’s center city location. Casual Dining Options. Casual dining outside of the hotel can be harder to find than upscale restaurants. Club Access. The top floor club lounge is only available with certain room categories. It has great views but not a lot of kid friendly breakfast offerings. Being one of Toronto’s newest hotels also means that the Delta Toronto is one of the most modern offerings available to families. The hotel is housed in a 46 floor tower with views of Lake Ontario and the gorgeous Toronto skyline. The lobby is a wide open welcoming space with plenty of staff on hand ready to help with everything from parking, to bags, restaurant reservations and walking directions. If you are only exploring downtown Toronto, consider taking the brand new UP Express from Pearson Airport directly to Union Station which is a quick three to five minute walk from the hotel instead of renting a car. Parking in Toronto is expensive with the rates at the hotel for valet parking costing $42.00 a night. Once in Toronto, kids under 12 ride the Toronto transit system for free. When you enter the rooms at the Delta Toronto, the most striking feature is the floor to ceiling windows. If you are afraid of heights, it may be best to request a lower floor. We went for it and stayed above the 40th floor with what may be the best view of the city we’ve seen. We stayed in a DeltaRoom, one bedroom suite, and it was huge. The king bed was nicely situated far from the sitting room and bathroom and as a family we were able to really spread out. There was a full sized pull out couch available and the amount of space between the bed and the pull out couch was sizeable. 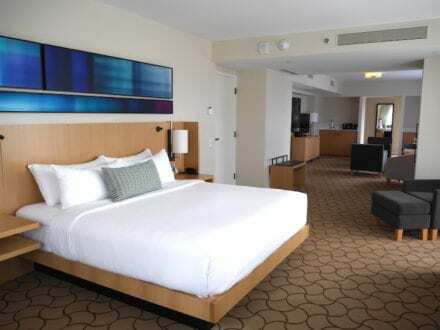 If you are visiting Toronto with kids, the size of these rooms and the fact that the suites come with a full kitchen, will make your stay more enjoyable. The room we stayed in also had a gorgeous bathroom with an oversized bathtub and a great view of the CN Tower. We all took turns enjoying the view while relaxing in the tub. The hotel has great in-room dining options but on busy nights when the hotel is full of hockey fans or concertgoers be prepared for a longer than expected wait for food. The SOCO Kitchen + Bar located in the lobby of the Delta Toronto has a great selection of Italian dishes, good breakfast options and great Caesars (a tomato based drink you should to try while in Canada). In November, 2015, the SOCO Kitchen + Bar signature Canadian Whisky caesar was named the best in Canada. 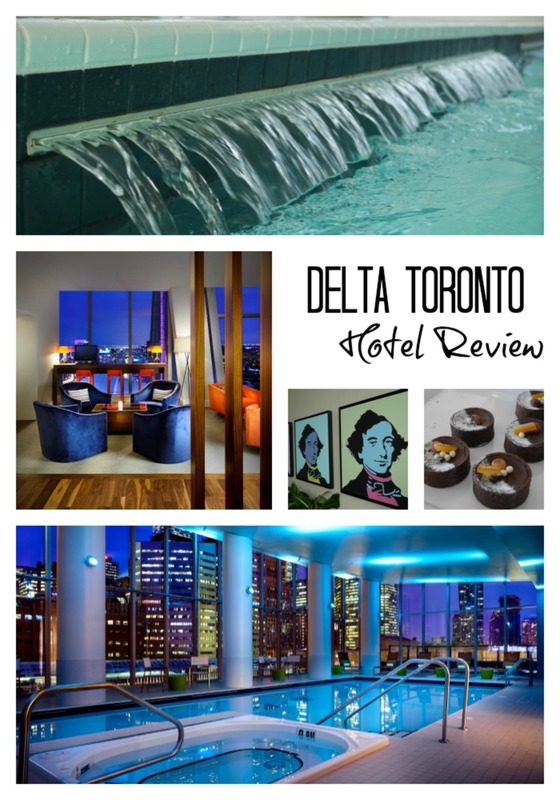 Have you stayed at the Delta Toronto? Share your experience in the comment section below.